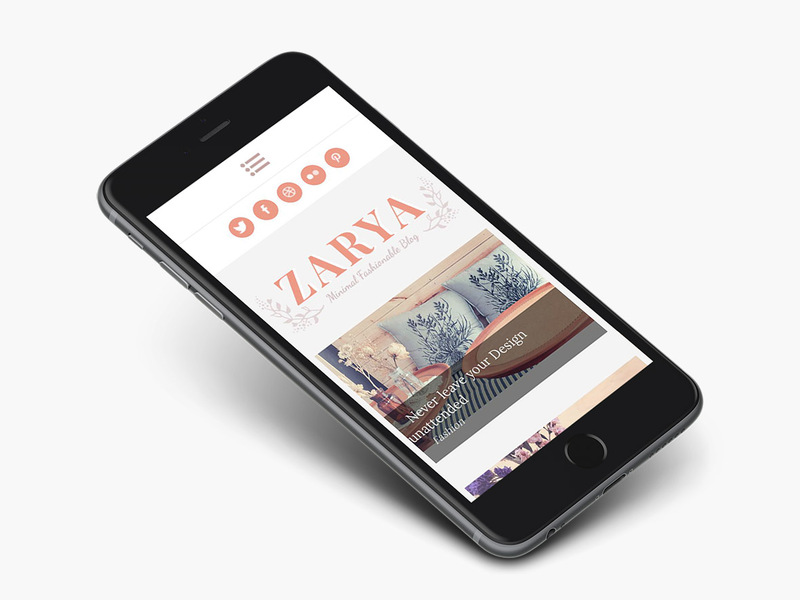 Zarya feminine blog is a modern WordPress blog theme with an emphasis on the feminine touch. 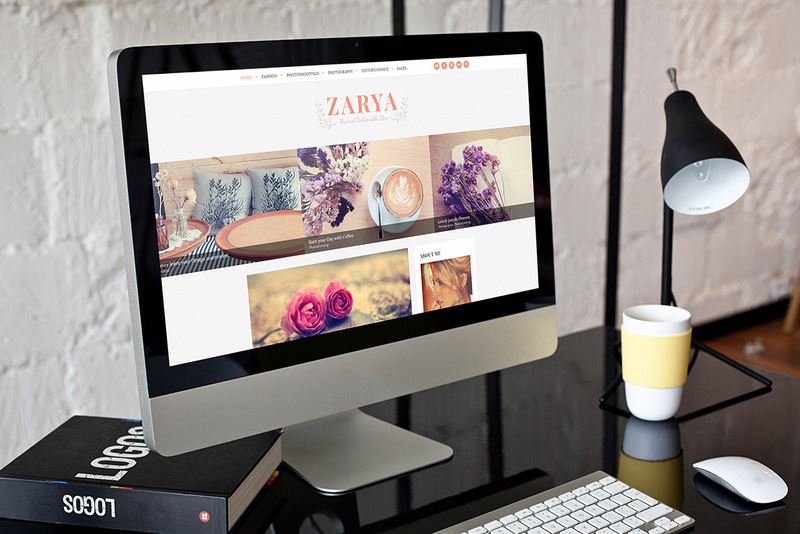 Proudly present your writing with Zarya’s soft pastel colors and lovely design. 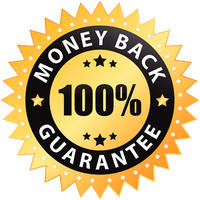 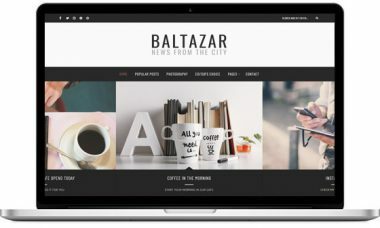 We have tested this wordpress theme with pingdom and results are bellow. 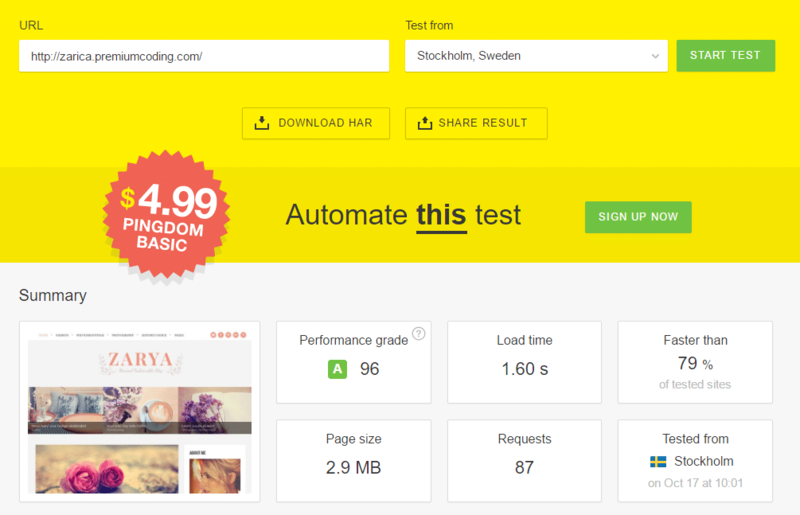 As you can see performance grade is 96/100 and the Zarya WordPress theme is faster then 79% of the tested sites. 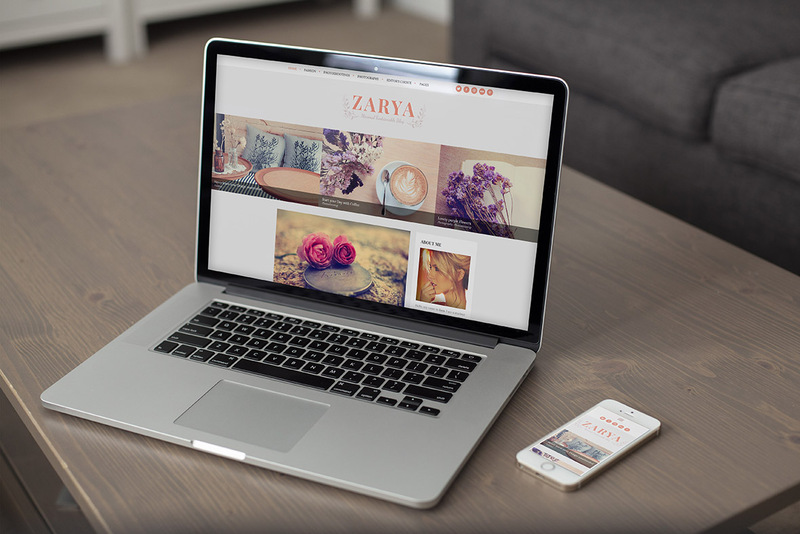 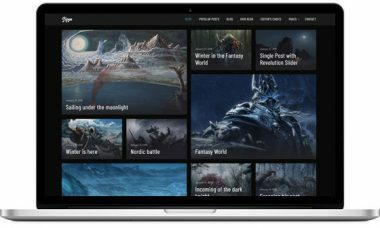 Naturally Zarya feminine blog theme is fully Responsive, this means that no matter what device your users are viewing your content on, Zarya will scale seamlessly as if designed for them personally. 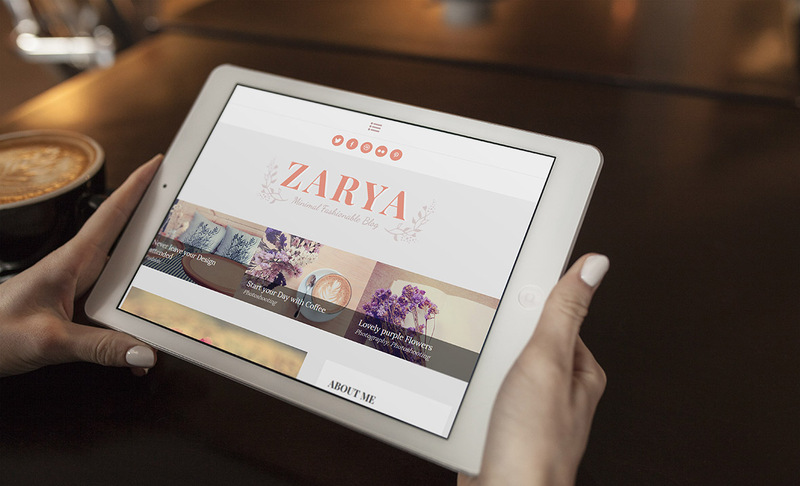 With our convenient color picker, you have unlimited choice when it comes to the main color of your page, so you can personalize Zarya and make it unique to you. 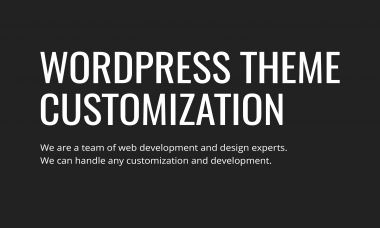 You can change main color to any color you wish so your WordPress Blog will look exactly like you wanted.